Over the past week I have been working on a special gift book card for a member of my team at work who will be going on maternity leave at the end of this week. Here is the front of the card using the sketch. Finally, the gift inside where two sleep suits can be found. The mother to be doesn't know whether its a boy or girl hence the rainbow of colours. There is so much going on, on the front of the card I've kept the inside embellishment free to give plenty of space for a personal sentiment. Finishing touches - Platinum Stickles glue, Tim Holtz antique linen and walnut distress ink. Oh Jenny,this is gorgeous,she will love this!! Oh this is gorgeous Jenny, stunning work. Thanks so much for sharing at TFWC this month! WoW wow Jenny this is so beautiful !!!! I love it !! This is absolutely gorgeous Jenny!!! 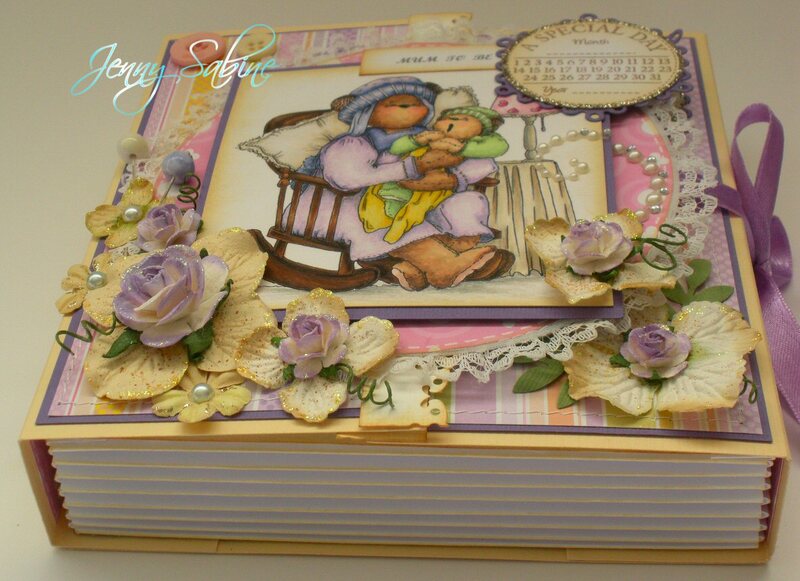 YOur coloration of this sweet image is fabulous and all your details are stunning!! Such a beautiful card! Jenny this is GORGEOUS!!!!! I haven't seen this Teddy Bea coloured yet so a double delight!! Can I show it off on our blog soon?!?! OMG...it's a box...with things inside!! !lol (I really need to stop leaving my glasses on the top of my head!!!!) WOWZER!!!! Jenny, your gift box is just stunning!! !, the image is coloured so beautifully too. My daughter is expecting her second baby in a couple of months I think one of these may be on my list of things to do. Thank you so much for the inspiration. OMG this is adorable! Love this Teddy Bea image and your colouring is fab!!!! Jenny, what a beautiful gift! Your coloring is awesome and the Teddy Bea image is darling. Thanks for sharing it with us at the Fuzzy Wuzzy Challenge this month. Nicely done. gorgeous .. thanks for joining in the 1st Emerald Faerie challenge. Absolutely STUNNING Jenny!! The lucky mum-to-be is going to LOVE this. 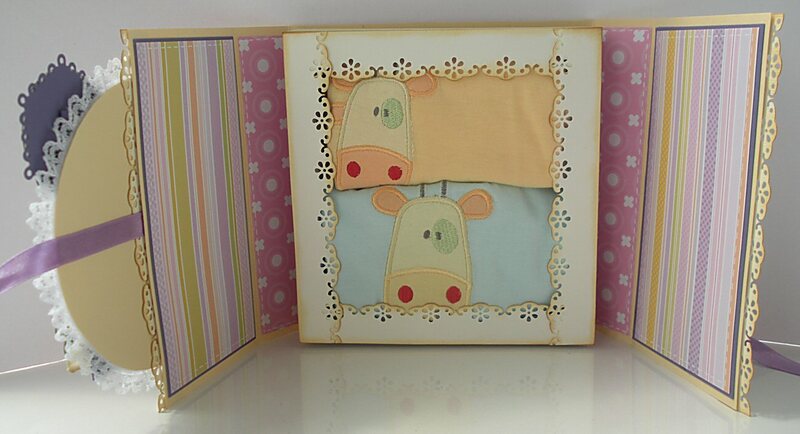 These make beautiful little keepsake boxes and how perfect is this for those little baby bits :) Gorgeous gift! this is so lovely, your friend is very lucky. She will cherish it, I'm sure.